In this tutorial, we'll learn how to set up Server Side Rendering of React Components with Hypernova. Situation: You've written a React app, and your website works great. Of course it does! But you begin to wonder, how can I improve performance on the client? The answer, of course, is Server Side Rendering! Actual footage of a user loading an SSR-enabled website for the first time. Why not just use ReactDOMServer.renderToString? Well, it's kinda slow. In a production environemnt, we also want to have things like caching, isolated rendering and multithreading in order to be able to scale. The projects listed above allow us to solve these problems. They're all decent options, but we'll go with Hypernova here. If you want to follow along, git clone this repo for the example code. 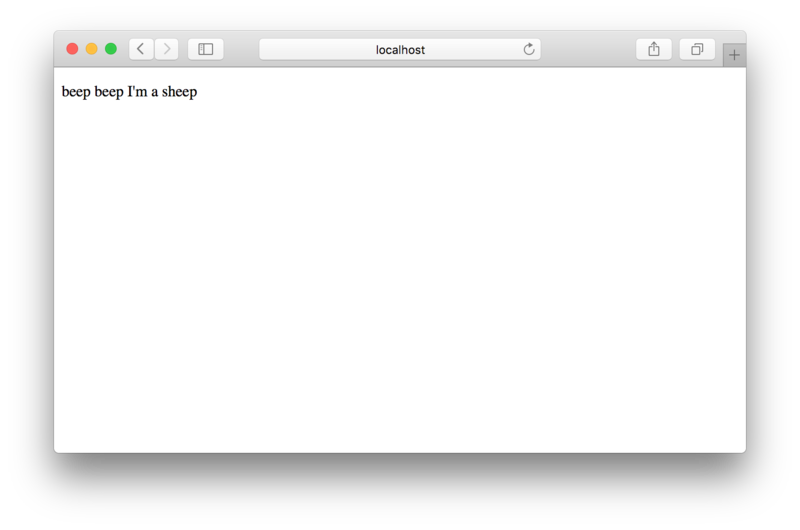 Sheep is a "top-level" component, a component that gets loaded into the page with ReactDOM.render. 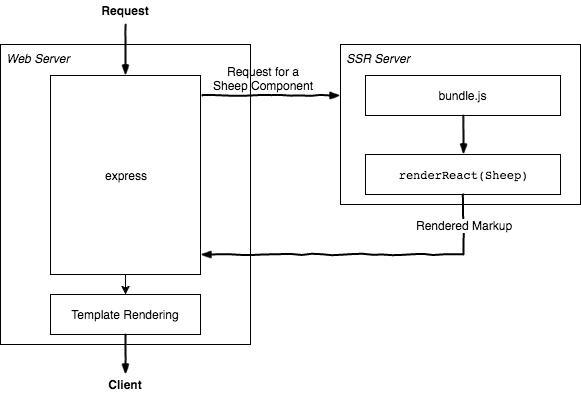 Any components that are nested within Sheep, we don't care about - it's only these top level components that we'll be passing to the SSR server. To complete the picture, we transpile with babel and use webpack to create a bundle that gets loaded into a template index.html. Running yarn start runs webpack, spits out a build folder, launches a webserver and everything works as expected. You can checkout the branch stage-1 in the example repo to get to this point. Our website is in great shape, and now it's time to add SSR! Instead of sending over a static compiled template that contains everything, we'll just keep the outer HTML structure in a template and let SSR components fill in the middle bits. 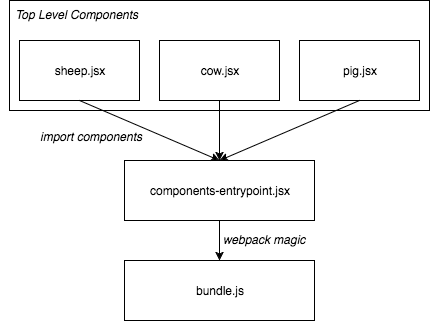 We now need to modify our webpack setup to generate an additional bundle for SSR, using our components-entrypoint.jsx file. Running yarn run build-ssr spits out the compiled bundle. Checkout the branch stage-2 in the example repo to get to this point. This is especially useful advice when deploying as part of a microservice architecture (having multiple concerns running in one containers is hairy 3, and scaling becomes easier for a dedicated container). We'll "deploy" to a subdirectory in this tutorial, but we would ideally containerize each server individually, with only the compiled bundle needing to be shared. Checkout the branch stage-3 in the example repo to get to this point. Checkout the branch stage-4 in the example repo to get to this point. Finally! Now we can call Hypernova from our webserver and plug the rendered React markup into our template. Hooray! It's exactly the same, but slightly quicker! Stay tuned for performance tweaks and optimizations! Checkout the example repo for all the code. Developer of fine artisanal software @ Yelp.